Peter Weber was born in 1944 in Kollmar/Elbe. He lives and works near Munich. The principle of folding has characterized Peter Weber’s work for over 40 years. It has become the distinctive mark of his art. 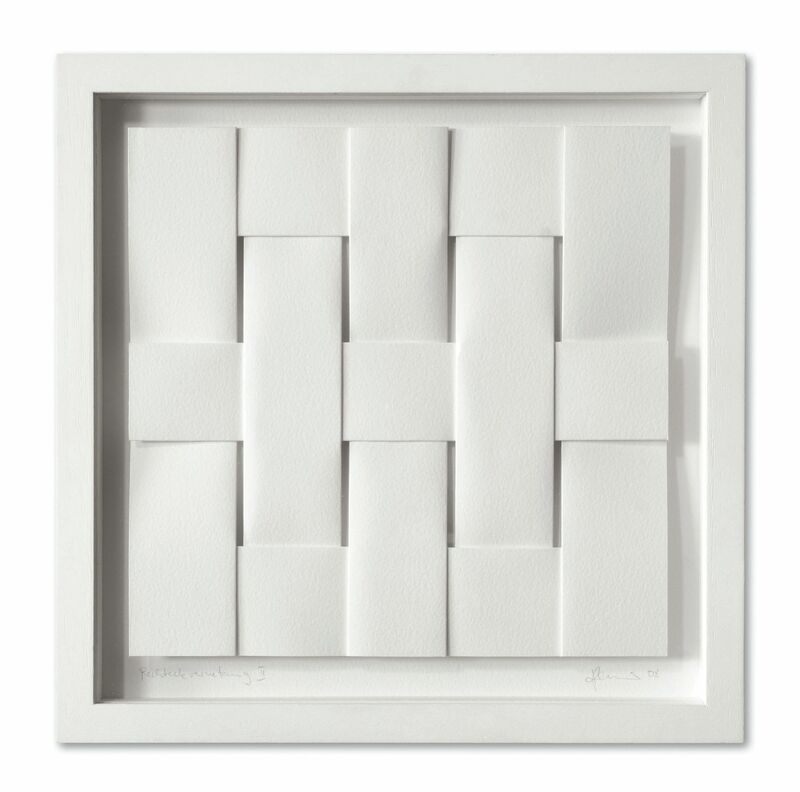 In the mid-1970s he created the first works, initially out of paper and cardboard. Folding enabled him to relate space and surface, two- and three-dimensionality, by means of a simple and yet centuries-old traditional practice. Themes that had previously occupied him in his artistic work could now be precisely realized with this technique. Certain peculiarities have typified his procedures until today. Weber folds all of his works out of one piece of material. He makes no cuts in the surface. Each folding is first conceived and planned in his sketch book. Then he realizes it first in packing paper and finally in models. Considerations of light and shadow, which further modify the three-dimensionality of the works, play a crucial role in the design stage. Geometric order - and the occasional chaotic dissolution of this order by chance - is his leitmotif. Even when Weber works with felt, a heavy textile that is in reality hardly pliable, he folds it on the reverse side and sees the final result only after the final fold.